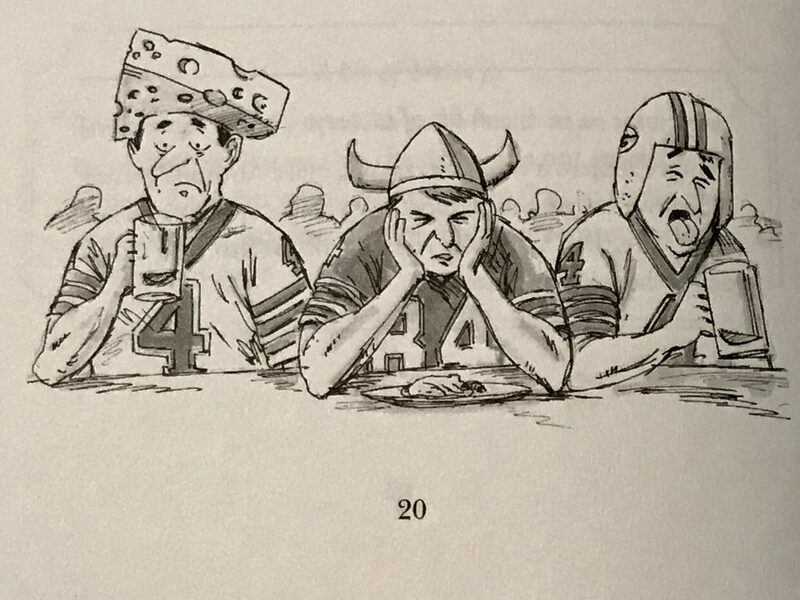 This illustration by Peter Krause sets up a joke for lutefisk eaters who like football. 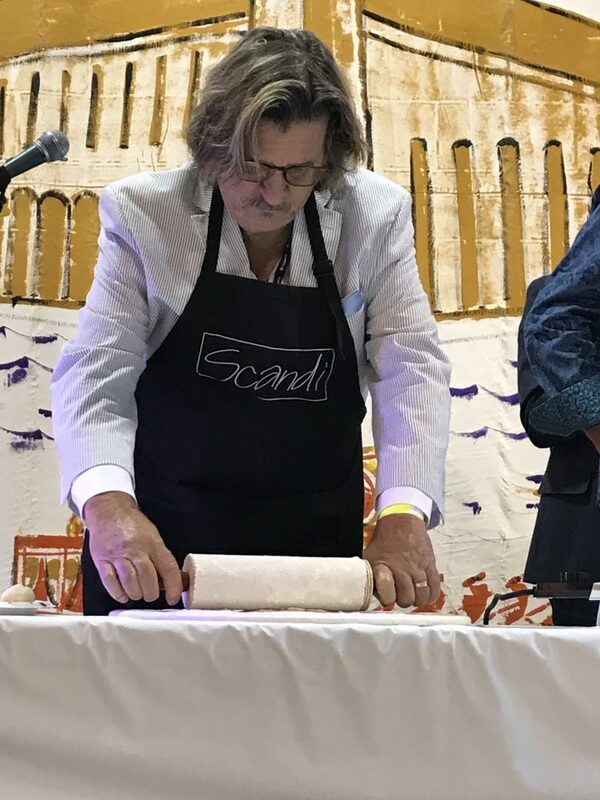 I’ve been so caught up in the holiday lefse-and-lutefisk storm that I missed an anniversary. 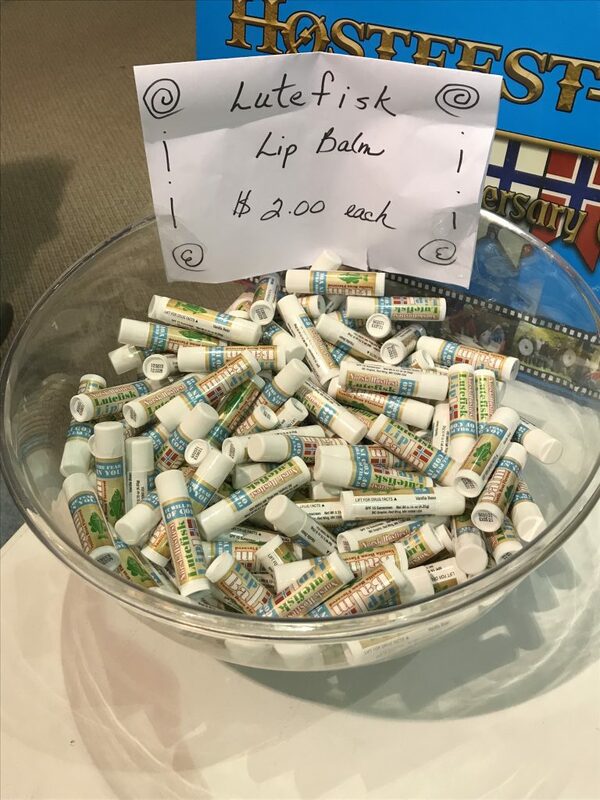 The previous The Lefse & Lutefisk News was the one-year anniversary issue! Woohoo!! 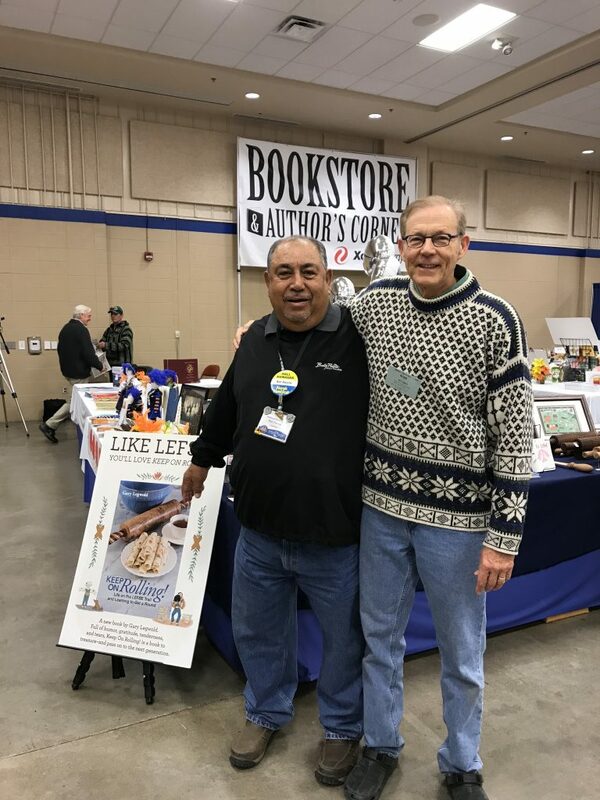 To celebrate, I’m giving away copies of The 2019 Let’s Make Lefse! Calendar. Well, not quite giving them away … but I’m giving them to the first 15 readers who send me a lefse or lutefisk joke. 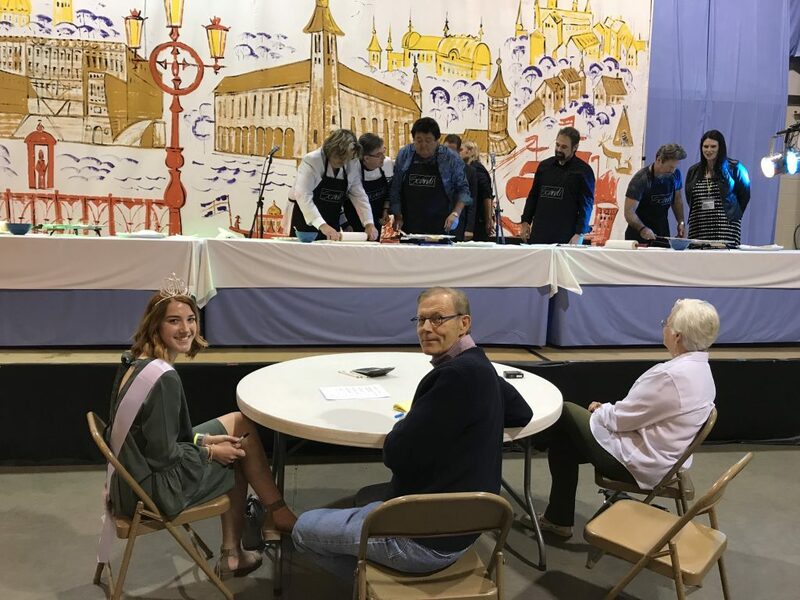 If the joke is good — and just about any lefse or lutefisk joke is good (except some lutefisk jokes) — and you are among the first 15 who send in a good joke, you’ll get a free lefse calendar full of photos, illustrations, lefse quotes, lefse-making tips, and humor. So email your jokes to glegwold@lutefisk.com and I will let you know if you are one of the 15 winners. To prime the pump, here is a football-lutefisk joke (kinda edgy) from The Last Toast to Lutefisk! 102 Toast, Tidbits, and Trifles for Your Next Lutefisk Dinner. Two Green Bay Packers fans we’re seated next to a Minnesota Vikings fan at a lutefisk dinner. The Vikings fan must have had a problem because he kept excusing himself to go to the bathroom. The Packers fans, being the prankish sort, spit on the Vikings fans lutefisk when he went to the bathroom. 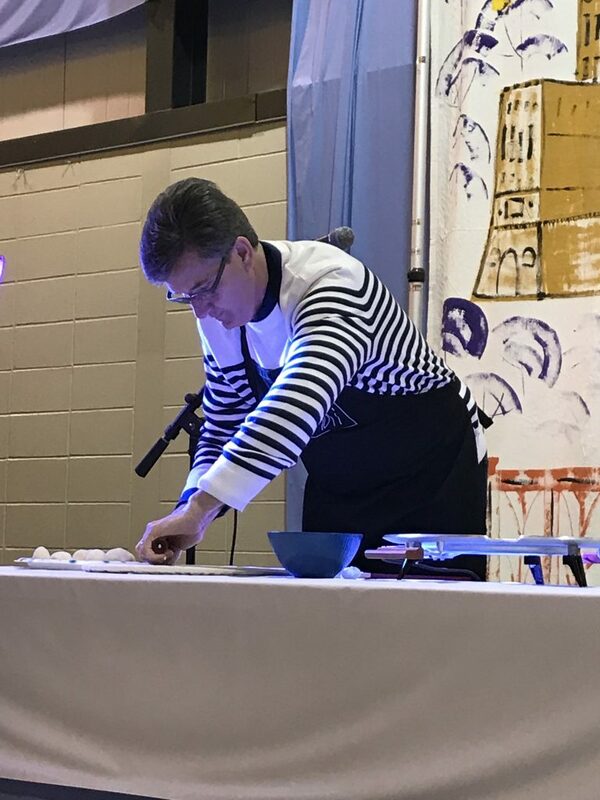 He returned, took a bite of lutefisk, and did not seem to notice the spit. The next time the Vikings fan left the table, the Packers fans asked him to please return with two beers. Again, the Packers fans spit on the Vikings fan’s lutefisk. 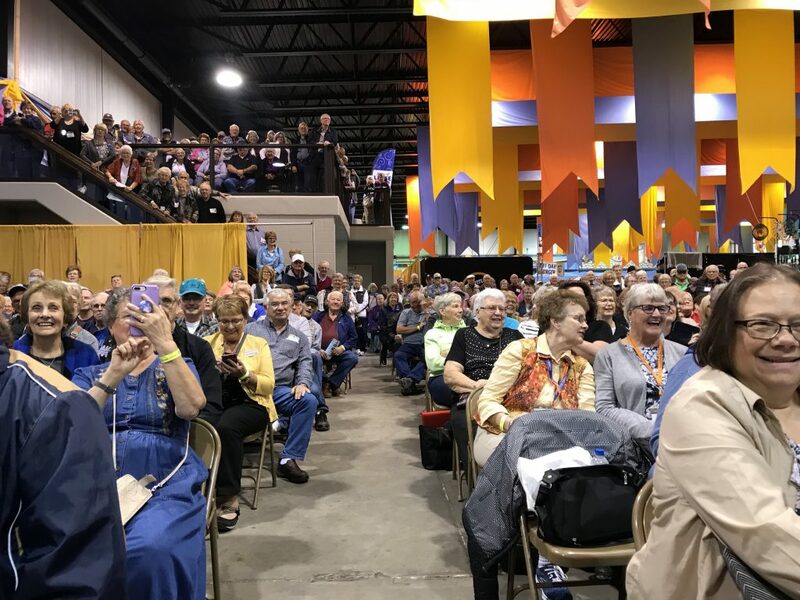 In summary, be among the first 15 to send your lefse or lutefisk jokes to glegwold@lutefisk.com. A 1956 photo of Verna Spencer with her son, Nolan Spencer, who was in Bagley High School at the time. I’ve been reading The Last Word On Lutefisk, which brought back memories. 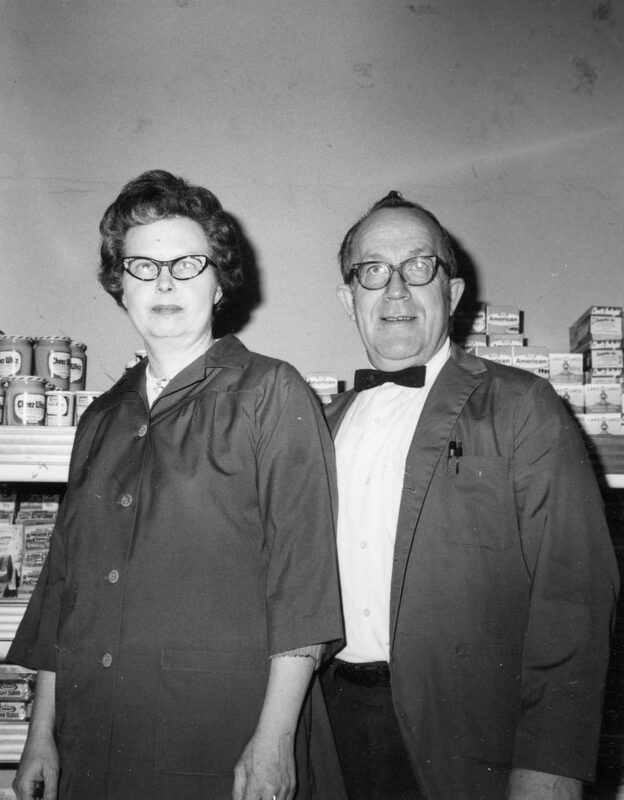 In 1947 my parents, Ed and Verna Spencer, built a small store open seven days a week. 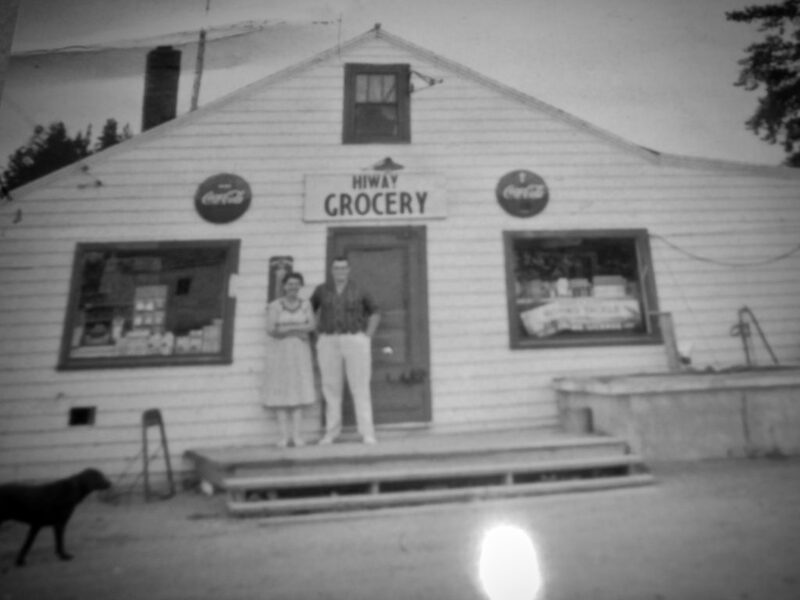 They called it the Hi-Way Store, which was located 1 mile west of Bagley, Minnesota, on U.S. Highway 2. This was just after Dad returned from serving in the U.S. Army in the Philippines. He used his GI bill to build the store. Dad traded guns, rented outboard motors, and sold fishing tackle and minnows (that’s a minnow tank in the picture). He and Mom also ran the grocery. What saved the store was they were able to obtain a 3.2 beer license — the only one in Clearwater County — that allowed beer sales after noon on Sundays. 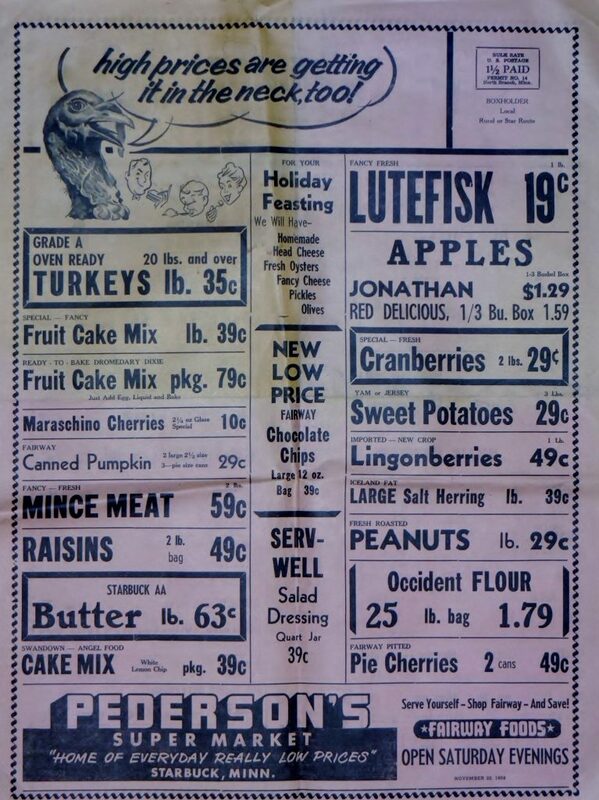 Mom and Dad sold sill all year and had lutefisk delivered around Thanksgiving and Christmas. Like the sill, the lutefisk came from the Hogstad Fish Co. in Duluth. 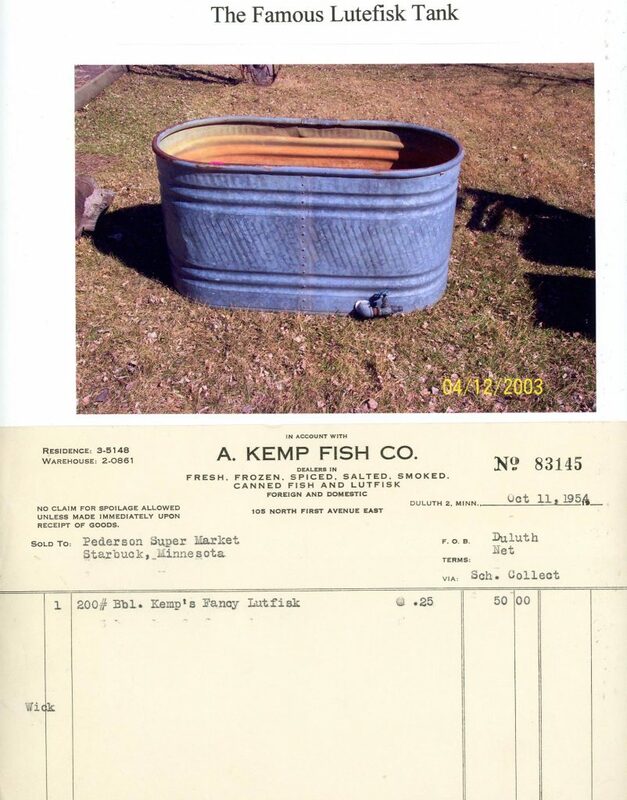 The fish arrived in short, wooden tubs about the size of a small washtub. My after-school job, at age 9, was to change the water for the skin-on fish. Francis “Fritz” LaRoque, half French and half Ojibwa, and his full-Norske wife Harriet would come in to buy what he called “sewer trout.” I’ve never heard that title used anywhere else. Dad established a trailer court, as he knew a pipeline was being built from Saskatchewan to Duluth beginning in 1954. The pipeline workers filled the court with 54 trailers. At the end of the pipe-laying season in November, maintenance personnel stayed to “lay up” the equipment (change oil, drain radiators, etc.) before the “drag-up dust” (snow) arrived. Can you imagine the smell of fried lutefisk in an 8 x 32-foot trailer house? My first taste of lefse came in 1948 when Violet and Einar Jallen, Dad’s sister and brother-in-law, lived with us for a winter. Einar had to have lefse! 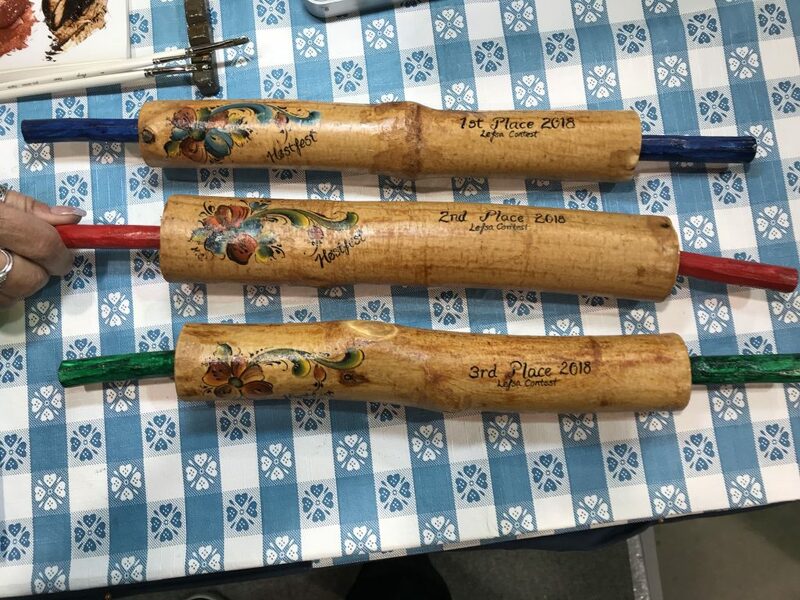 The lefse was baked on the covers of the wood- or coal-burning side of the combination range my folk owned. The wood/coal burner flanked four gas burners. My job was to split up wooden apple/orange/pear/peach crates to provide fuel for lefse baking. Violet rolled the lefse, and Mom baked it using the sharpened window shade bottom “slat” for a lefse stick. I was hooked on lefse from that point on. That’s Mom and me in the above picture during the summer of l956. I had one more year at Bagley High School, and then I attended Bemidji State Teachers College. I obtained degrees in biology and chemistry education. I taught one year in Beloit, Wisconsin, and then 35 years in Crosby-Ironton, Minnesota, before I retired in 1997. I married Sharon Gilbertson, who I miss as she has passed on. We were too poor to buy a lefse grill, so I had a friend cut an 18-inch disc out of ½-inch steel for baking lefse. It went over one of the burners on our gas range and worked just fine. You doggone right we will!